Dr. Pierluigi Fracasso, born in Rome in 1960, works as a Gastroenterologist in an Outpatients clinic in Rome, Italy. He focused his interest on the prevention of gastrointestinal cancers, studying high-risk conditions (IBD, HNPCC, FAP, Coeliac disease) and screening average-risk populations and compliance with testing. 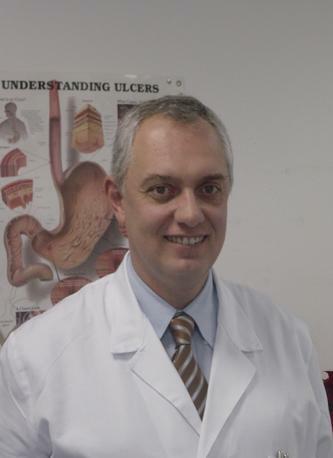 He is Secretary of the European Society of Primary Care Gastroenterology and an affiliate of the Italian Association of Primary Care Gastroenterology. Pierluigi will take the role of ESPCG representitive on the Education Committee of UEG from 1st January 2017. His term will end on 31st December 2020.